Want A Free Website For Your Business? 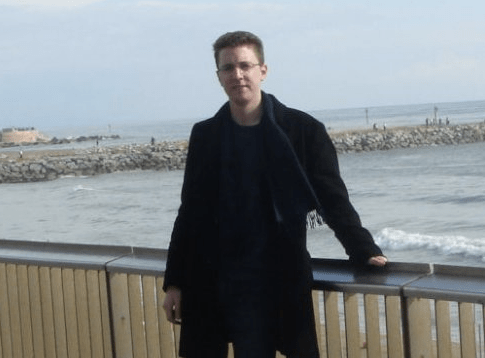 KillerStartups > Startup Spotlight > Want A Free Website For Your Business? Ten years ago you may have gotten away with not having a website for your business, but now there’s no way of getting around it. But some people, especially the old-school business owners, still have reservations about having a website. For all the old schoolers or even newbies who need a website built, Aircus.com will make it easy and painless. Oh yes, and it’s free. The site allows you to choose from several different designs to make your website pop, including Jeans design (like the Aircus homepage), Jade soft, Clean design in red, green, blue and dark, and Modern design in basically all the colors of the rainbow. So, even if you’re not a creative type, Aircus.com hooks you up with a plethora of designs. Simple website creation – Once you’ve entered all your business data, the website is created automatically. No tech skills needed. Business data synchronization – Easily sync all your business data (contacts, opening hours, location, testimonials, etc.) from other social media platforms. Responsive design – The platform features design that responds to users’ device (mobile phone, pc, tablet, etc) and chooses the appropriate format automatically. 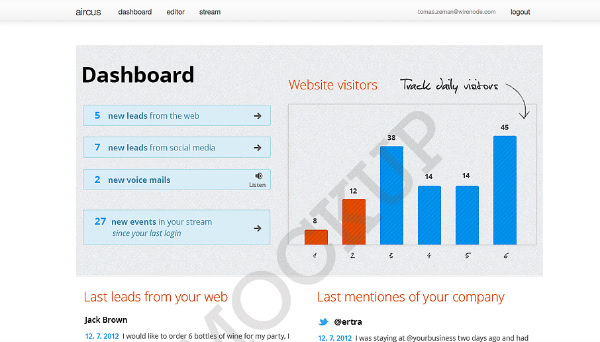 When you’ve created your website on Aircus.com, your dashboard will include features such as how many leads you’ve received from what location and from whom, where the last mention of your website was (Twitter, Facebook, etc), and helps you track your daily visitors. Basically, Aircus will provide you with all the essential traffic info so you can improve your business and target your market accordingly. The team over at Aircus are also experts in website creation, with over 10 years of experience and more than 60000 websites under their belts. Their forte is syncing and integrating your business data across all your projects, so you don’t have to do the work yourself. 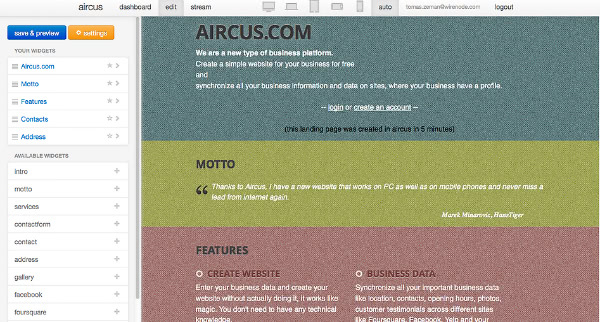 And if you already have your own domain or want to run the platform under your own brand, Aircus.com can do that too. Creating an account on Aircus.com is easy (and free, folks!). Simply choose if the website is personal or for business, give your name and info about yourself, choose a domain name, theme and color, give your contact, social media and log-in info and presto, you are now a proud owner of a new website. Like I said, a website for your business is simply required these days and with platforms like Aircus.com, you don’t have to do much to create one. I mean seriously, the platform does basically everything for you. 5 minutes and $0 later, you’ll be up and running on the net and customers will be pouring in. Not having a website is so 2000. Check out the site and get with the program.